Located on the site of what is now Provencher Park in St. Boniface. In 1922, a major fire completely destroyed the building claiming ten victims and destroying all of its records includubf the 40,000-volume library. 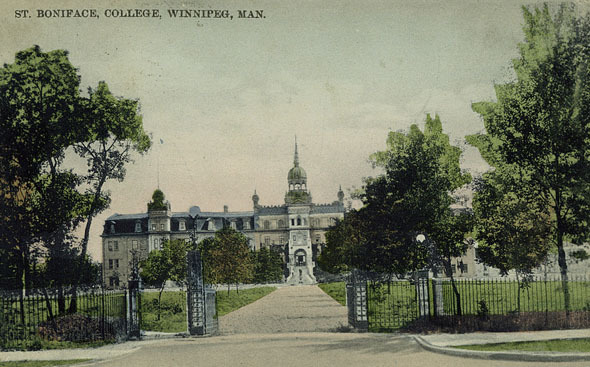 In response to this tragedy, the Archbishop of St. Boniface, donated the seminary (Le Petit Séminaire) on Avenue de la Cathédrale to the college.